: I first heard of elvis when i was 6 years old when my dad introduced me to him through his records that we continously played together. Ever since then ive been hooked and continued to buy all his music and memrobilia. : His magnificant voice and his unique style in both music and fashion. : I wasnt born. However if i was i would of cried definitely without a doubt it would of felt like some one shot me! because the world lost an amazing, generous, unbelievably gifted human been!!!! : because he is the only proper singer out there in the world! his music has power, meaning and charisma it came from the heart word after word! Thank you for your comments and sharing your feeling on our survey. 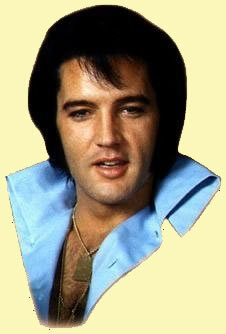 Elvis was an extremely wonderful man, with great depth in his music. Every word he sang came from his heart, just as the emotion he felt when performing. His music is timeless! Elvis was perfect in everyway. His nature was very generous, warm and friendly. I also haven`t been to Graceland & like yourself, it`s my dream to visit his home. I`m told by many fans, the experience is totally overwhelming. Some fans say they feel his presents on entering his beautiful home. I really hope your greatest dream comes true for you Kevin. Kevin, below is the lyrics to your favorite song. Enjoy!